What happens when you lock your keys in the car? Do you get stressed and mad or do you stay calm and know that there is an answer that may come without having to deal with calling AAA? 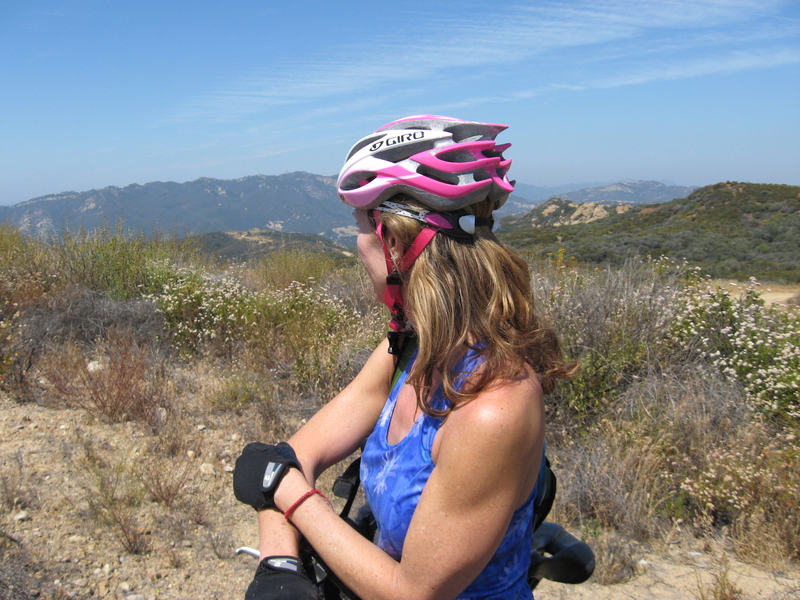 My friend and I had driven 45 minutes to ride a new trail in Malibu on our mountain bikes. We were enjoying the morning, getting our bikes ready and our gear together when the wind blew my door shut. Unfortunately, I had pressed the lock button and my car key was in my camelback which was on the front seat. Hmmm, my trunk was still open though. We looked and sure enough there was a latch that when depressed may open through to the back seat. While my friend pushed and pressed and prodded, she could not get that trap door to open. This was all after fishing through all the ingredients in my trunk. I store lots in my trunk! She asked me to help push so we both dove head first into my trunk while our butts were the only visible part of our bodies–we were pushing together and still to no avail. I had to laugh, really hard. Here we were, butts to the world, and I imagined what it would be like if someone were to pull up on that scene! We then called over two guys who were also in the process of getting on their bikes. They tried as they might but also with no luck. Even though the sun was beating down and we couldn’t just get on our bikes and ride because all my hydration was locked in my car, we laughed and just relaxed about our conundrum! Somehow we just knew there was a way into the car without having to go through the drama of calling AAA. As I sorted through the trunk gear hoping to find a wire hanger, I found a 6 pronged pants hanger made out of thick plastic. I held it up and we both laughed because that certainly wouldn’t be maneuverable enough to open the lock from outside. Well now wait a minute…I noticed each level clasped together and if it clasped together it must clasp apart. I unclasped one of the rows and marched over to the passenger door which had the window cracked. It was so darn easy, I stuck the plastic down the cracked window, pushed on the lock and it was open! The moral of the story for me was…it is what it is and if you stress about it, that won’t help. We were relaxed and having fun. We both seemed to trust that there would be an answer and together with that mindset, we made what looked like a “no way” situation into a “not a problem” situation. Lately, it seems like all cooperative components come to my rescue. I like the way it feels to trust that everything will always work out. Life is good and I just feel like getting out there and living it more fully!! !